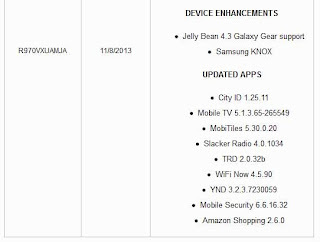 Owners of the Samsung Galaxy S4 under U.S. Cellular can now download and install the new Android 4.3 Jelly Bean update. The update was made available on November 7th and owners who haven't disabled update notifications should have known its availability. Users who may have turned off notifications on their phones, however, must trigger the search for the update by going to Settings > More tab > About device > Software update. Your device must be running the OS with baseband R970VXUAMJA. 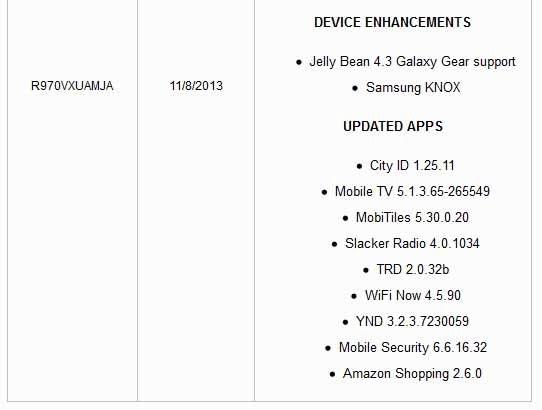 The recent update brings a couple of device enhancements: Galaxy Gear support and Samsung KNOX. If you weren't able to find the update, call U.S. Cellular because there is a possibility that it is pushed by batches to lighten server loads.